HOME > TECH > 'Tekken 7' updates: Geese Howard release date to be announced at TGS 2017? 'Tekken 7' updates: Geese Howard release date to be announced at TGS 2017? The latest updates for "Tekken 7" will feature the possible release date announcement of "King of Fighters' villain, Geese Howard and Katsuhiro Harada talks about beating "Street Fighter" in the fighting game market and how the franchise maintained its relevance for the gaming fans in each generation. Banda Namco Entertainment will be attending this year's Tokyo Game Show event on Sept. 21-24 and will reveal more details about their current and upcoming video games titles such as ".hack//G.U. Last Recode," "Ace Combat 7," Code Vein," "Dragon Ball Xenoverse 2," "Dragon Ball FighterZ," Sword Art Online: Fatal Bullet," and "Tekken 7," SegmentNext reported. Video game fans speculated that the Japanese publisher will officially announce the release date of "Tekken 7's" next DLC character, Geese Howard, to the roster. The "Fatal Fury" fighter was first revealed during the EVO 217 event and he is slated for the winter this year. Just like Akuma, Geese's signature move sets are incorporated in the sequel and will have his own super meter. Game producer Katsuhiro Harada encouraged gaming fans to suggest more characters as DLC Fighters in the sequel with names like Kazuma Kiryu, Chun-Li, Dante, and Kyo Kusanagi. While Bandai Namco has yet to comment if Geese Howard's release date will be announced during the TGS event, gaming fans are eager to hear and see what the developers will showcase during their panel. In other news, Harada has been proud of the success that "Tekken 7" has accomplished for the past few months since its release to the consoles and PC platform. However, he and his team felt that there is one competitor they need to overcome when it comes to dominating the video game fighting field and that game is "Street Fighter." The game director told Gamasutra that he is still pleased with the sequel's success even though it still needs to overcome the shadow of the "Street Fighter" franchise. "We realized this soon after we gained the top share according to sales figures. Some people never change their opinion no matter how much data you show them," Harada said. "That's why we still fight to overcome the shadow of Street Fighter, the legendary game that started the genre." Harada also added that the "Tekken" franchise was created because they wanted a game that is relevant to the video game fans for generations. Both game franchises have lived up to the hype as they continue to dominate sales and video game events worldwide. 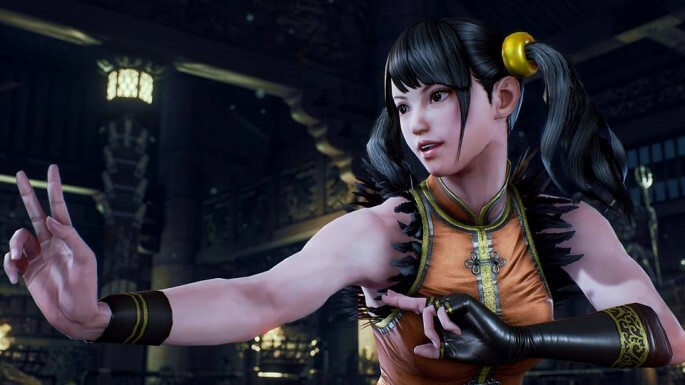 Harada stated last year that success of both "Tekken 7" and "Street Fighter 5" will determine the development of the next crossover title, "Tekken X Street Fighter."